Sorry about the delay in getting this one out. I just felt that focusing on the well written comment from over the weekend by an educator was more important than getting a typical beginning of the week post out. If you haven’t read it, I encourage you to do so. It nails it in the way only someone who’s in the trenches can. The countdown to Thanksgiving is picking up steam. It’s hard to believe we are under 10 days and counting until feasting commences. Meanwhile, more testing has already commenced as winter MAP testing is now under way. You know what they say, you can’t lose weight if you don’t use a scale. Yea… I know… but let’s take a look at what else is going on in education news across the state. The Foundation for Excellence in Education announced this week that Betsy DeVos will address its summit on Nov. 30 after Jeb Bush opens the gathering of education leaders from across the nation. In response to the announcement, education activists from across the state began forming plans to protest her arrival. DeVos, rightly so, has been a lightening rod for controversy since her appointment as the nation’s education chief back in the spring of this year. Apparently it was Jeb Bush who is responsible for unleashing DeVos upon the nation’s educational system, so her appearance at his shindig is a bit of payback. According to Chalkbeat TN, “DeVos will face a friendly audience of mostly like-minded reformers at the Nashville summit, but the reception she will receive outside is less certain; the city last year voted mostly for Democrat Hillary Clinton, even as the state gave Trump a solid win.” Ignoring the fact that neither party is particularly good at education policy, this statement raises a number of questions for me, the first being who in Nashville would be considered a “like-minded reformer”? The vast majority of school choice supporters I interact with detest DeVos as much as I do, making me a little baffled by where Chalkbeat assumes this support would come from. I suspect there is a little false equivocation going on here. Just because you are a charter school supporter does not instantly translate into you being a supporter of Betsy DeVos. That’s an important distinction to make. The second question that arises from the aforementioned paragraph is in response to the line, “but the reception she will receive outside is less certain.” Really? Chalkbeat is really uncertain about what kind of response she’ll receive outside the venue? Let me clarify then. It will be large and loud and it won’t be in support of her. And herein lies the conundrum for me. There is nothing I like about Betsy DeVos. I worked hard against her confirmation, and I continue to work to oppose her policy propositions, but I do question the value of large organized protests against her. What’s the end game here? What are we hoping to accomplish? And why are we protesting against a national leader who has marginal impact on our educational system when we have local leaders that I would argue are doing more harm to our school system than DeVos, while we allow them to continue unencumbered? Before you get really mad at me, hear me out. If DeVos quits or gets fired tomorrow, what will be the outcome? Will Trump suddenly appoint someone more qualified and palpable? Will he suddenly make Linda Darling Hammond or Diane Ravitch the Secretary of Education? What about all those Trump supporters? Are they going to see the DeVos protests and consider changing their positions? Or are they going to say, “Look at her piss off them liberals. Hell yea!” and double down on their support of Trump and, by default, DeVos? I would argue that time standing outside a meaningless education summit protesting an incompetent and malicious Secretary of Education could be better spent campaigning for Craig Fitzhugh for Governor and James Mackler for Senator. These are people who will ensure that people like DeVos never cross the threshold to power. Getting them elected will accomplish more than getting DeVos removed. We also need to make sure that we are holding our local leaders to the same level of accountability that we demand from Betsy DeVos. I ask you, what is doing more to drive charter school growth, Betsy Devos’s support of charter schools or a literacy program so bad that it is contributing to teachers being driven from the district? I’d argue that very few families are exploring charter school options because they read that the Secretary of Education said they are cool. It’s a lot more likely that families are opening themselves to the charter school option in response to the deficiency in the quality of the programs at their local school, and if you don’t think that MNPS’s literacy policy, and the IFL units associated with it, are deficient, then you need to take a closer look. As yesterday’s blog post showed, there are real issues in MNPS right now. God bless MNEA, they have been working hard to address teacher issues through the use of collaborative conferencing. And from what I’ve heard, they’ve gotten some big concessions, but their work barely scratches the surface. I brought this lack of questioning at the local level up several weeks ago and was told parents just don’t know what a good Scope and Sequence is and what not. I counter that most parents didn’t recognize the failings of Teach for America initially either, but they educated themselves. I challenge local activists to bring the same kind of focus forth and talk to teachers. Educate yourself on local issues in the same manner that led to becoming an expert on national issues. 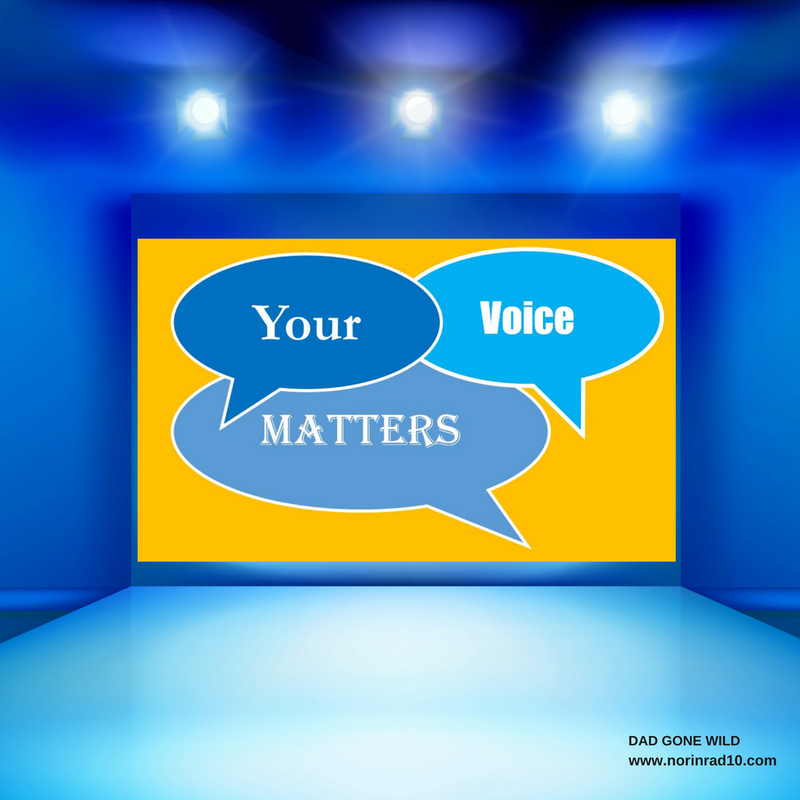 Nashville’s children need your voice and passion. After the Trump election, I thought the protests were extremely powerful in uniting people and letting people know they were not alone. But at this point, the battle lines are drawn and everybody knows where they stand. There is only a limited amount of time in a day and energies really need to be focused on where there can be the biggest payoff. We have to be diligent in that we don’t allow ourselves to focus so intensely on winning battles that we lose the war. (1) Each report of known or suspected child sexual abuse pursuant to this section shall be made immediately to the local office of the department responsible for the investigation of reports made pursuant to this section or to the judge having juvenile jurisdiction or to the office of the sheriff or the chief law enforcement official of the municipality where the child resides. Maplewood HS has two Metro police officers on duty and they were immediately made aware of the accusations. But that withstanding, I don’t understand Ms. Shepherd’s desire to speak out on these allegations while legal action is still pending, and she admittedly is not fully informed on the situation. In the article, Ms. Shepherd notes the plethora of lawsuits and admits there may be issues beyond sufficient training, and she pledges to ask Joseph about what can be done during the board’s Tuesday night meeting. There are 5 lawsuits that have been filed in the last two months, and she’s just now getting around to asking Joseph about them? This is very similar to the case of high levels of lead in MNPS schools’ drinking water. It took multiple reports from Phil Williams at Channel 5 News before Shepherd broached the subject on the board floor. And then, it was only briefly, with no follow-up. I would strongly argue that a school board chair should be well briefed on these incidents as they are developing and not wait until they reach crisis level before asking questions. I also think that when making statements like, “If a seasoned educator didn’t do something he was supposed to do, can you imagine what a new or newer educator might or might not do?” they should be well versed in the case. Our principals are already in a precarious enough position in these types of incidents, and by all indications have followed the rules of the law, there is no justifiable reason to turn them into punching bags just because you haven’t done your due diligence. A teacher at New Vision Academy, has been placed on indefinite suspension after someone removed a student’s hijab in a classroom. A meeting with the teacher is pending. Are you an MNPS student and need help with homework? Try the Homework Hotline! Free one-on-one tutoring and homework assistance is available by phone and online to all Metro Schools students, grades K-12 in every subject area and in multiple languages. Teachers are available from 4-8 p.m. Monday through Thursday until May 2018. You can access the Homework Hotline by calling 615-298-6636 or visiting www.homeworkhotline.info. 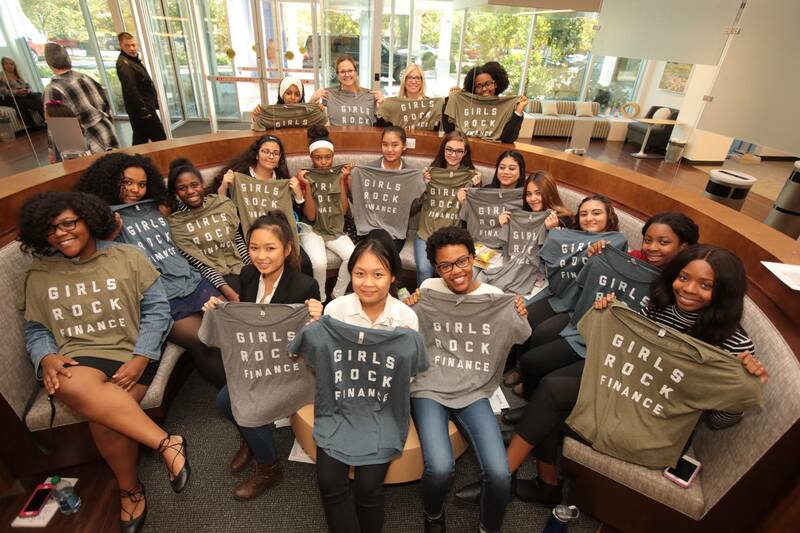 Girls from John Overton High School and Hillsboro High School enrolled in Rock The Street, Wall Street (RTSWS), visited First Tennessee Bank and HCA to close out their fall semester of learning how to budget, save and invest. The field trips included tours, panel discussions, and networking. Since August, First Tennessee Bank and HCA female financial professionals have been instructing the high school students on the value of managing their money, as well as exposing them to opportunities in finance across industries. 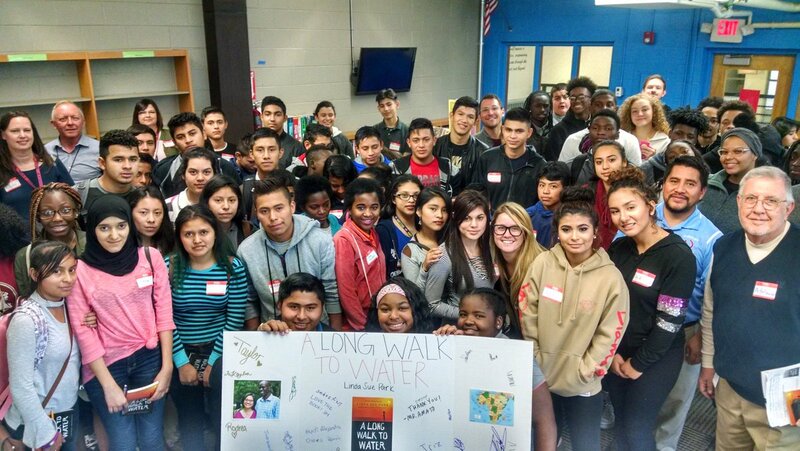 In the spring, these RTSWS students also have the opportunity to be paired with a mentor to help with college preparedness, resume building, interviewing, and more. One of the many cool things associated with ProjectLit is that they invite Students with Interrupted Formal Education (SIFE) to participate in a book club hosted by Maplewood HS students. Despite many of the SIFE kids having challenges with the English language, the rules of engagement remain the same. Last year, I got to attend one of the book clubs and found it to an inspiring experience. Last week was the first one held this year, and unfortunately I had to miss it, but it’s on my calendar for next time. Three MNPS HS football teams advanced in the state playoffs this past weekend. Pearl Cohn HS in 3A, Maplewood HS in 4A, and Cane Ridge in 6A will face the next round of opponents this week in their quest to become state champions. Good luck to them. We know they have this! 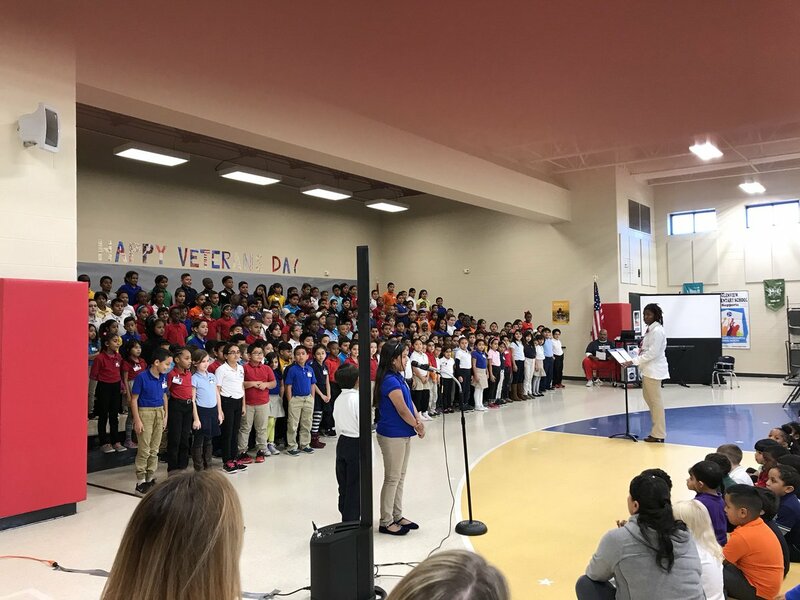 Glenview ES students honored our vets with their voices in celebration of Veteran’s Day. As we do at the beginning of every week, it’s time to take a look at this weekend’s poll results. Question one asked, what quadrant are you in? Not surprisingly, 31% of you fall into the Southwest quadrant. That’s the one my children are in and those are the schools I know the best. Second, with 20%, was, very surprisingly, the Northeast quadrant, and I thank you for your support. The Southeast came in at 18%, with the Northwest at 9%. I promise you folks in the Northwest quadrant that I’ll try to give your schools a little more love, and SE, you always have my support. Question number 2 asked about whether or not you plan to attend a ProjectLit book club meeting. I must admit, this is one where the answers made me sad. The number one answer was an even split between “on my calendar” and “just not interested.” I don’t know what is muting the interest, but I beg of you to reconsider. If you attend one, you won’t be sorry. The number two answer at 16% mentioned that none of the meetings were at a nearby school, which I know for a fact is being worked on. Several of you also referenced inconvenient times, which is also an issue being addressed. I went this summer, ya’ll GO! The last question asked you to speculate on whether or not MNPS would see an exodus of teachers over winter break. The number one answer, with 25%, was “maybe slightly more than last year.” The number two answer, at 22%, was that most would wait until the end of the year. The number three answer, at 19%, was “in droves.” Two people answered “no, teachers are more committed than ever.” Two. The conversations I’ve had over the last couple weeks have taken a decided change in tone. Where teachers were once angry, they are now more resigned. To quote a teacher who has been with the district for just about 20 years, “TC, I think I’m done after this year. I never thought I’d say this but I don’t want to do this anymore. The last 3 years have been so bad, especially this one, that I’ve just decided I want to do something else.” To be honest with you, the resignation concerns me more than the anger. Definitely more than last year. That does it for the week. If you need to contact me, you can do so at Norinrad10@yahoo.com. I try to promote as many of the things sent to me as possible, but I do apologize if I fall short. I have started using Patreon. If you think what I do has monetary value, you can go there and make a donation/pledge. Trust me, I know I ain’t going to get rich, but at the end of the day I’m just a Dad trying to get by. Thanks to the Cautious Pessimist for kicking things off with a $5 pledge. Check out the Dad Gone Wild Facebook page as well.